Ansmann is a German company that specialises in batteries and power, selling both standard-sized batteries and replacement power packs for most types of camera. The Powerline Vario is a universal charger that’s designed to recharge either a pair of AA or AAA cells, or almost any 3.6V or 7.2V Li-ion power pack using a pair of prongs that slide to align with the battery’s contacts. Many similar devices exist, but the Ansmann stands out due to its neat, compact design and the fact that the charger unit works via a Micro USB input. This means that not only can it work off mains power or in the car, but it can also recharge your batteries using a generic USB charger, a powered USB socket on a computer or a portable power bank. The current charge status is shown using a four-stage LCD display, with a slightly cheaper model, the Photocam Vario, differing only in the fact that it has a simplified LED-based display. Four interchangeable plugs are supplied for the mains adapter, allowing use in the UK, EU, North America and Australia. With a 1A USB output, this can also be used to charge other USB devices, such as smartphones or 7in tablets. The Micro USB input allows charging from various power sources, including power banks. A four-stage LCD indicates charge levels of 25%, 50%, 75% or 100%. Align these with the + and – terminals of Li-ion batteries to charge. 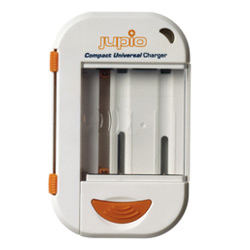 This holds batteries of a range of different sizes in place during charging. I have been using this charger for a couple of months to top up the batteries of the various cameras I’ve been testing. On the whole, it works very well with most batteries, although there are a few exceptions – notably the Olympus BLN-1 used by most OM-D cameras and the Canon LPE-6 for many EOS DSLRs. 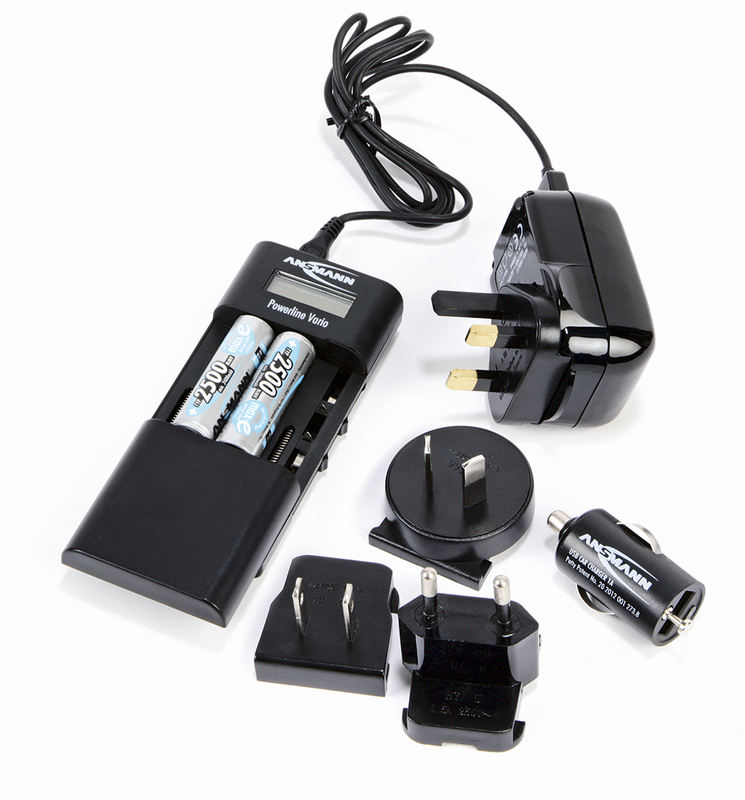 However, for the batteries it does work with this is a versatile and reliable charging system that’s perfect for travel. This small unit charges AA, AAA and Li-ion batteries. 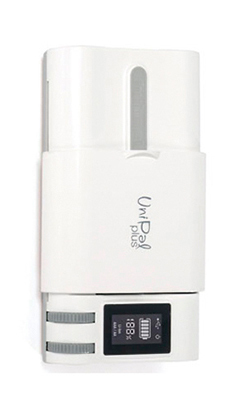 It comes with mains plugs for four regions, a car adapter, and has a 0.5A USB output too. 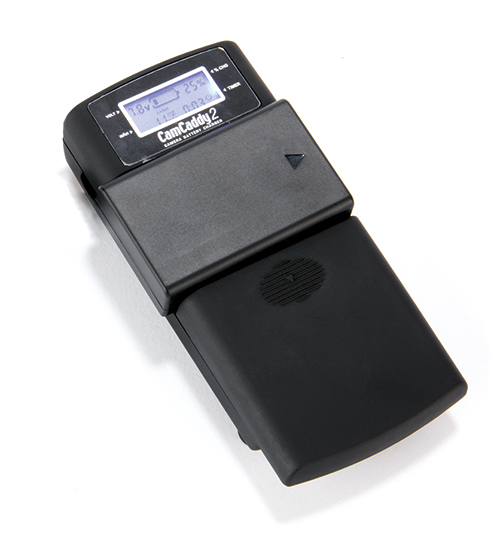 Accepts AA, AAA and Li-ion batteries, with an LCD display to monitor charge levels, and fine-adjustment wheels to match different batteries.